Here at Dental Greetings we understand the anxiety and hassle of seeing the dentist, which is why we try and make it as simple and comfortable as possible. We focus on preventative dental care and will try to take out the guessing of costs and stresses with your dental appointments. We offer some preventative services at a discounted fixed rate as well as no gap or nothing to pay for health fund patients. 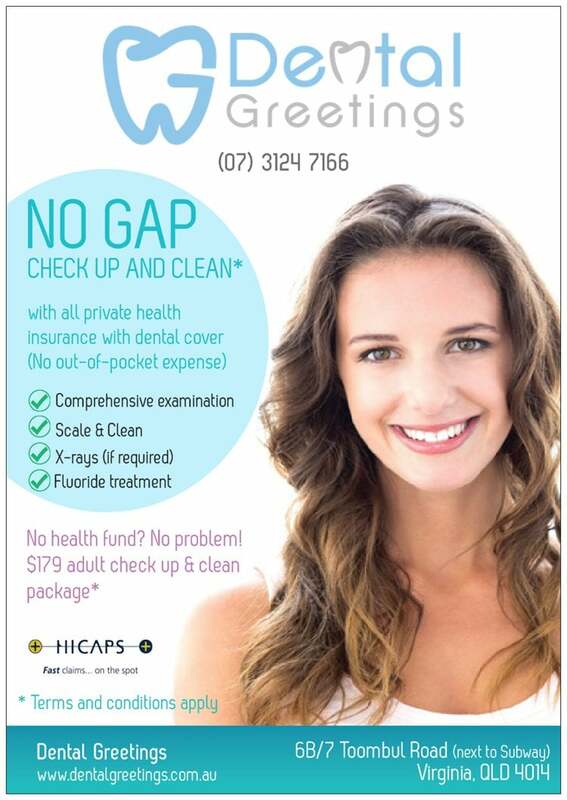 Special Offer – No Gap "BULK-BILL" Check up and Clean (all health insurance)! That is no out of pocket expense, absolutely nothing to pay! For full comprehensive examination, x-rays, clean and fluoride treatment! If you have any concerns, this would include thorough treatment planning session as well. This includes your every 6 monthly regular maintenance clean appointment as well! Come for your check up and cleans and leave smiling, we want to promote oral health and we believe regular hygiene visits are key. This is why we do what we can to reduce the hassles and costs of regular dental check up and cleans. Special Offer – Fixed Price Check up and Clean (No Health Insurance)! For patients without health insurance, no worries! 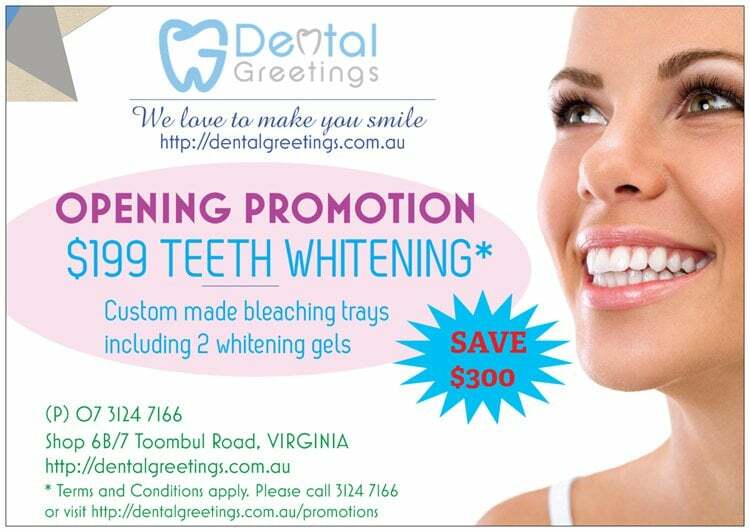 Customized take home whitening trays including take home whitening solution. We will have you smiling whiter and brighter in no time! If you have private health insurance with dental cover and available limits, get a customized professionally made mouth guards with nothing to pay! No out of pocket expense! Play hard and protect teeth. Again we focus our dental care on prevention. So we want to make it as easy as possible to look after your teeth. 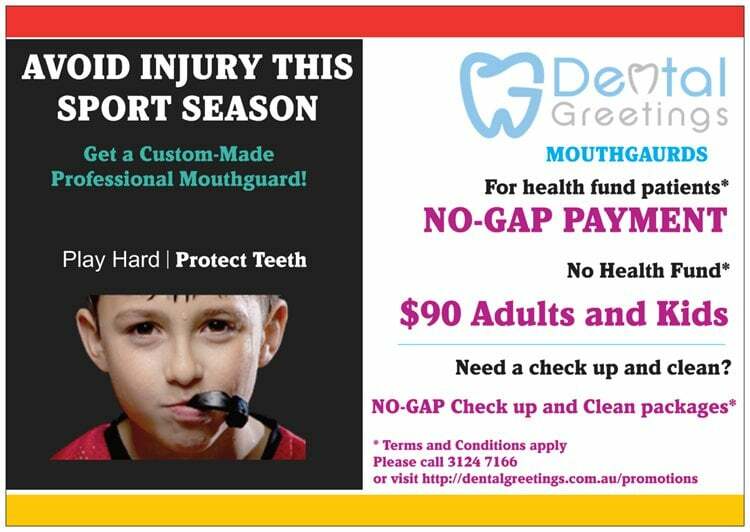 Nothing to pay for your mouth guard for health insurance patients is our way to help! If you don’t have health insurance don’t worry we also offer $90 custom made mouth guards as well! 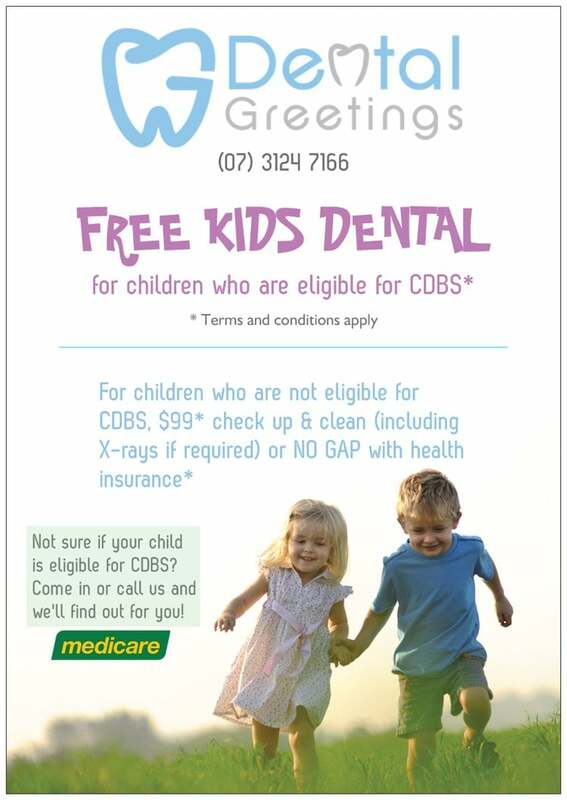 Adult and Kids check up and clean may include Examination, X-rays, Intro or extra oral photography, Scale and Clean, Fluoride treatment unless any of the above may be deemed unsuitable or not required clinically by the dental clinician.